Cleaner Bethnal Green employs a team of professional gardeners in Bethnal Green E2. Our gardening services include hedge trimming, lawn mowing and garden cleaning. If you have a garden in your property which you want to make better looking, then the solution is only one. You have to contact the employees of our amazing company and reserve one of the various professional gardening services which they perform. All procedures can be delivered to Bethnal Green and many other regions of London within 24 hours. We have the skills and the required knowledge to improve your garden and make it look more beautiful. A change like that will have a positive influence on the appearance of your property and will make you feel more comfortable. Maintaining a good-looking and healthy garden requires not only a lot of efforts but also free time which, unfortunately, most people don’t have today. If you book the professional gardening services of our agency, however, you won’t have to deprive yourself from anything. Our gardeners in Bethnal Green will spend as much hours as needed in your real estate property, until the perfect look of your garden is achieved. They will provide the instruments and the machines for the job as well, because they are included in the reasonable price which you will pay for the service. There will be no additional fees or charges because Cleaner Bethnal Green always give to our clients all the information about our professional gardening services in advance, so that they can make their decision. You can be a 100% sure that we are a trustworthy company which only desires to provide you with the best looking garden in London. Weed removing – This service will guarantee that your garden is free from all the harmful and unnecessary plants which are currently living in there. 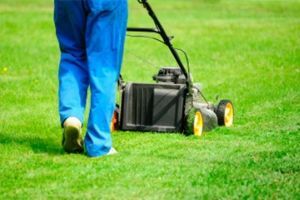 Lawn mowing – We can also take good care of your lawn by cutting the grass and maintaining it in this condition for as long as you like. Planting of flowers – Our professionals can also fill your garden with beautiful flowers of your choosing which will really brighten up the place. Pest control – The pests are a common problem but we have the right solution. With our eco products we will make all intruders disappear. Landscaping – With your assistance we will design the perfect garden for your home which will correspond to the style of your property. We can make you a reservation for any of our gardening services right away, if you only contact our colleagues in Bethnal Green.